Send a shortwave radio, care of Ears To Our World. You can send one self-powered shortwave radio to a classroom or community in the third world for as little as $40. In impoverished regions still without internet access or electric power, your tax-deductible donation of one radio can inform and empower an entire community of listeners. If you’ve heard my 2013 recording for UNESCO regarding the relevance of radio, you may also like to visit World Radio Day’s webpage and listen to what others have to say about the relevance of shortwave radio. Share this page with your friends. If you do nothing else, please contact your representative(s) and remind them of the continued importance of shortwave radio in today’s world. Click on the following links to search for your government representative(s) in the USA, Canada, United Kingdom, Australia, and New Zealand. Need more ideas to celebrate World Radio Day? Check out UNESCO’s list. Oh, and here’s one more thing you can do: Simply turn on your radio, and listen. I’m pleased to note that World Radio Day, although still a fairly new international holiday, is receiving increased media attention each year. After all, radio listening can be a wonderful, meaningful experience–as well as a worthy cause. So, enjoy! This entry was posted in Broadcasters, News, Shortwave Radio and tagged UNESCO World Radio Day, World Radio Day, World Radio Day 2014 on February 13, 2014 by Thomas. This entry was posted in Current Events, News, Recordings and tagged Ban Ki-moon, UNESCO World Radio Day, World Radio Day, World Radio Day February 13 on February 13, 2013 by Thomas. February 13 is World Radio Day. It’s a young holiday, just two years old, established on the initiative of the United Nations Educational, Scientific and Cultural Organization (UNESCO) in 2011. Representatives of all of the world’s major radio broadcasters, the Voice of Russia among them, have gathered at the UNESCO’s central headquarters in Paris to celebrate World Radio Day. February 13 is not a random date. On that day in 1946, Radio UN aired its first broadcast. 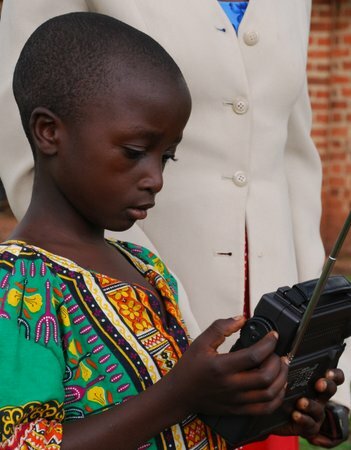 In his World Radio Day-2013 message, UN Secretary General Ban Ki-moon said that as a boy growing up in a poor village after the Korean War with neither phones nor television people still had something that connected them to the world outside their small village – they had radio. Since its invention more than 100 years ago, radio has sparked imagination and opened doors for change, entertaining, informing, promoting democracy and connecting people wherever they are, and “in conflict situations and times of crisis, radio is a lifeline for vulnerable communities,” Ban Ki-moon remarked. Read the full article at the Voice of Russia website. This entry was posted in Articles, Current Events, News and tagged UNESCO, UNESCO World Radio Day, Voice of Russia, World Radio Day 2013 on February 13, 2013 by Thomas.